Motion Cntrl’s cinematic new song “In the Dream” is a passionate embrace of life’s beauty, an alluring commitment to living each day to the fullest. It’s easy to go through the day consumed with the tasks at hand: Busying oneself with the little things, lost in what we so half-handedly label “the doldrums.” You can consume your life in minutiae that won’t matter week to week; it’s much harder to keep a broader, more open mind to the world at large, but what a magical way to experience every day. 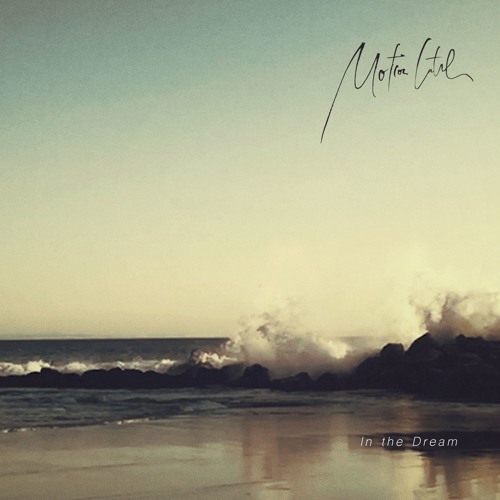 Motion Cntrl’s cinematic new song “In the Dream” is a passionate embrace of life’s beauty, an alluring commitment to living each day to the fullest by being both in-the-moment and in awe of the greater spectrum at the same time. Atwood Magazine is proud to be premiering “In the Dream,” the lead single off Motion Cntrl’s upcoming sophomore EP Envision, due out this fall. The Los Angeles-based duo of Allyce Engelson and Luke Mertz got their start working at a creative agency together, but it is in Motion Cntrl that they have truly made dreams come true. Their artistry is electric: “In the Dream” is the followup to their 2015 self-titled debut EP, a dark and pulsing piece that bounces with intense percussion and a lush, ambient soundscape. Still, “In the Dream” feels soft and warm – it radiates with a soulful purity, this internal desire to love and appreciate. “‘In the Dream’ is about finding strength simply by being in awe of this life,” explains Luke Mertz. “The video, shot by our friend Brian Ford, extends that idea by expressing the majesty of the world we’re privileged to be living in.” Vivid shots of seas and skies, roads and forests, cities and homes fill our sight as Allyce Engelson’s sweet voice melts into the surrounding instrumentation. Similar to the song’s theme, we experience her seamlessly becoming one with the music. Ultimately, “In the Dream” reminds us of how special and lucky we are to be alive. It’s an invitation to join Motion Cntrl and bask in the dream of life: A beautiful, majestic, miraculous place full of light and dark, potential and possibility. Join the duo in this new adventure, exclusively on Atwood Magazine.